"IF YOU WANT TO BE BETTER & WORK SMARTER... GET COACHED BY ME"
Coaching enables and empowers the individual to look at new and innovative ways of performance enhancement; looking at what is possible; moving a person beyond the normal comfort zone to achieve breakthroughs by refocusing the attention on what are the life goals, and more importantly how they can be attained. Nicole is not here to sit you down in a chair for however many years; that is the work of a psychiatrist. Nicole is here to listen, of course, but most of all to help you lay down the new neural pathways that will take you to your goals. Wanting is not enough; you have to think your way through the labyrinth to success. 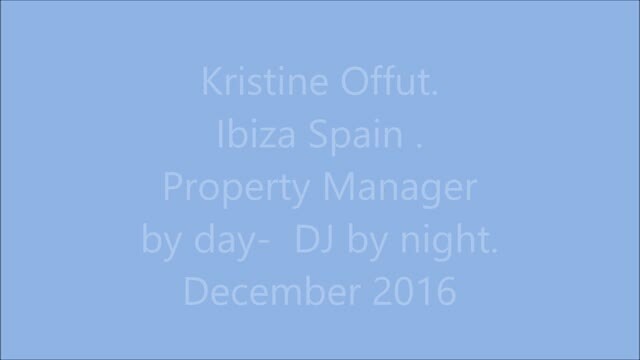 Ibiza Spain .Property Manager by day- DJ by night. Listen to a wonderful testimonial providing an idea as to the change in your life the coaching of Nicole Petschek can achieve.